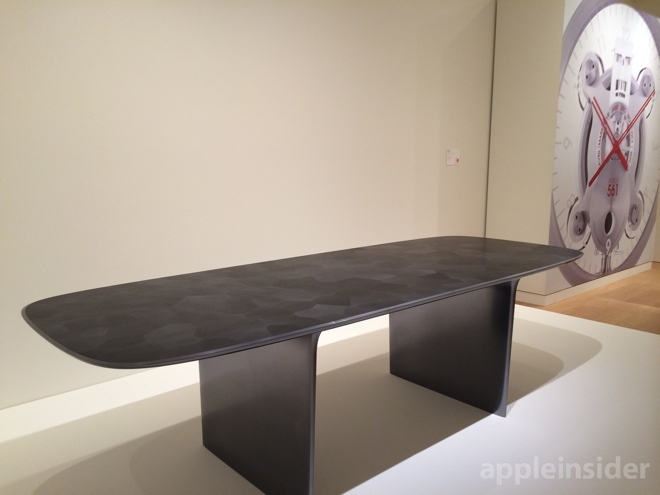 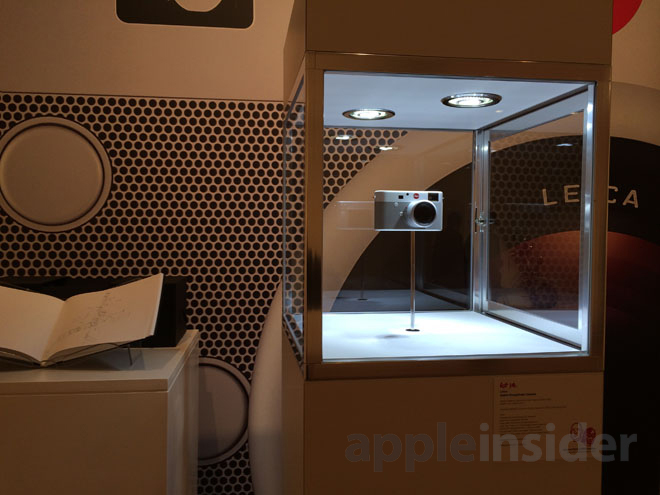 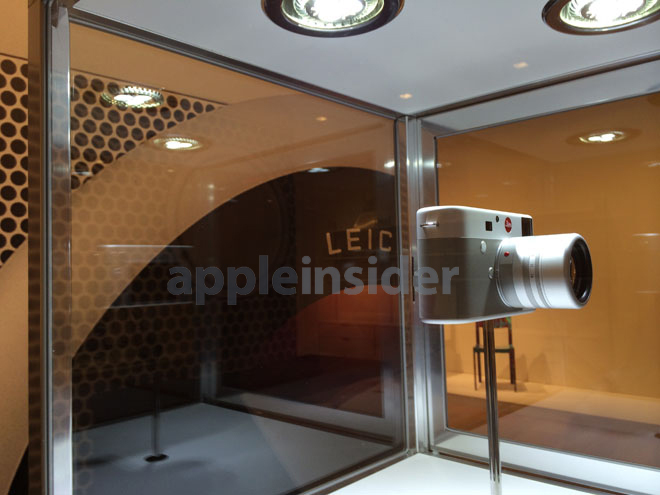 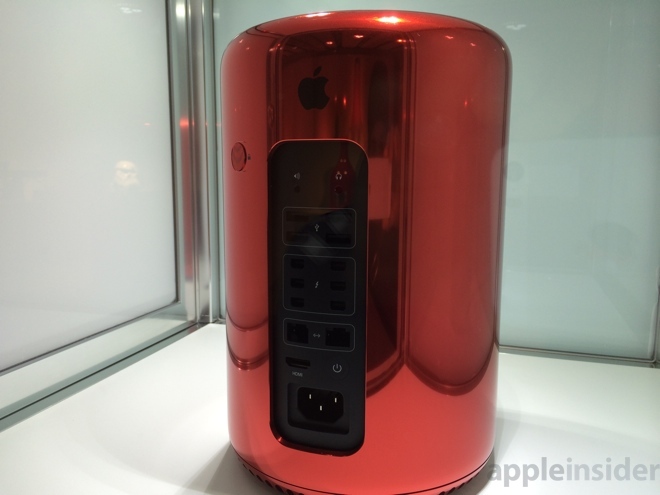 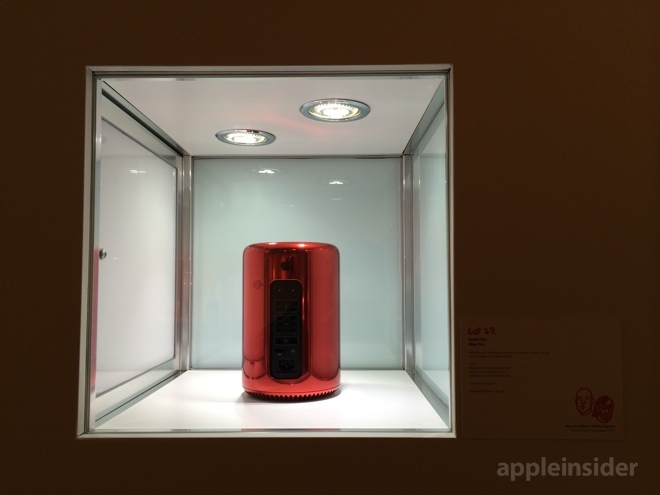 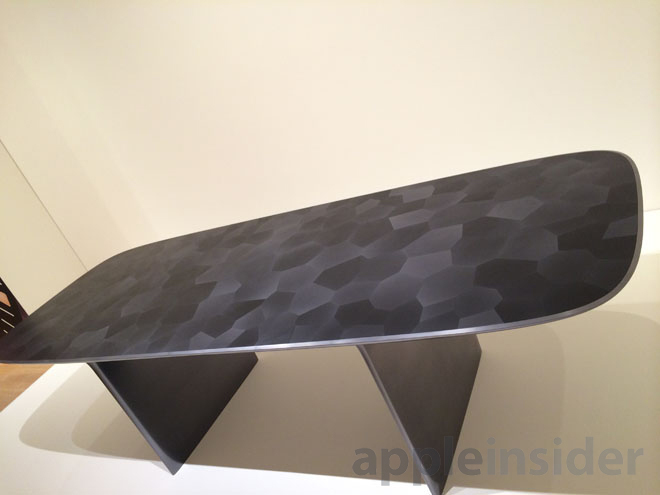 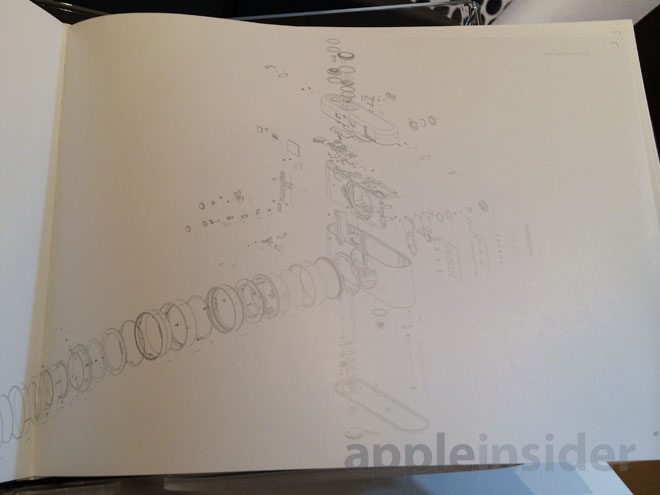 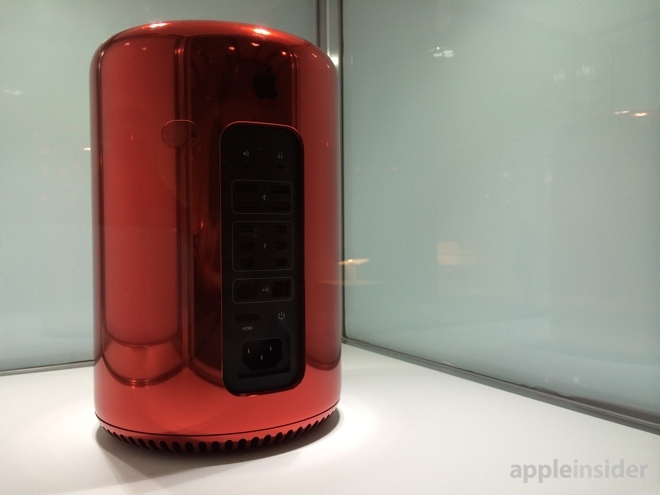 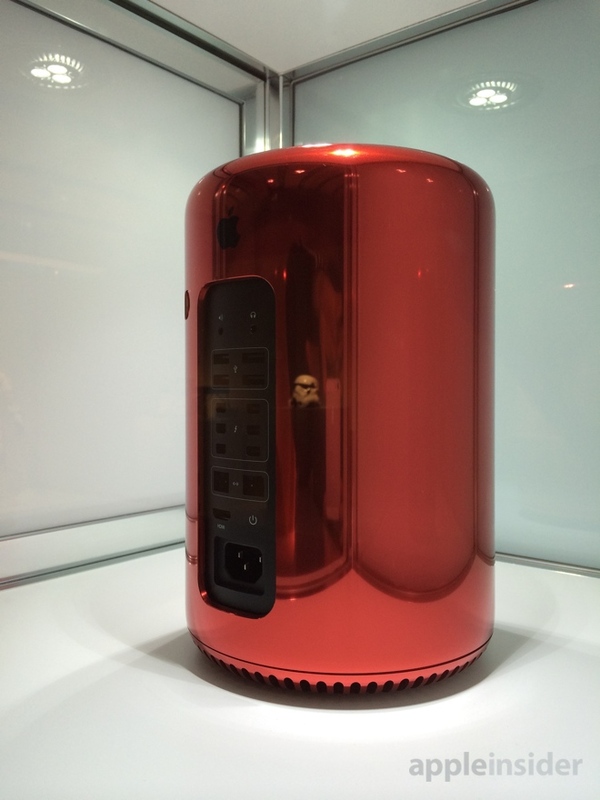 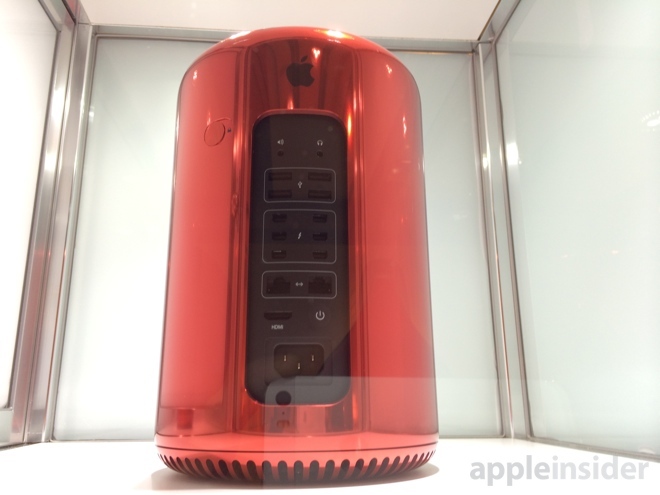 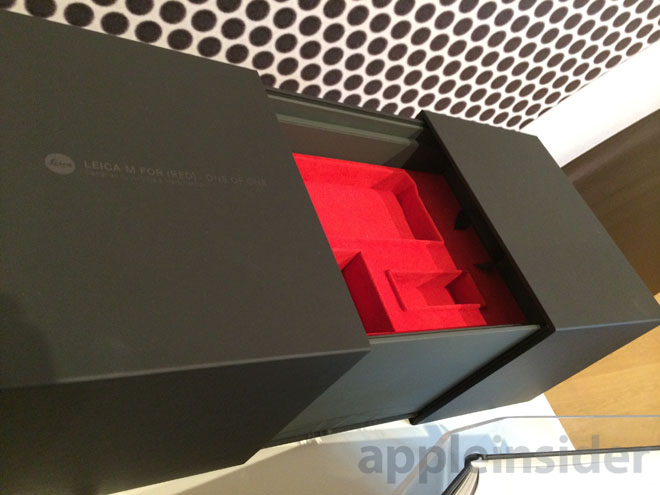 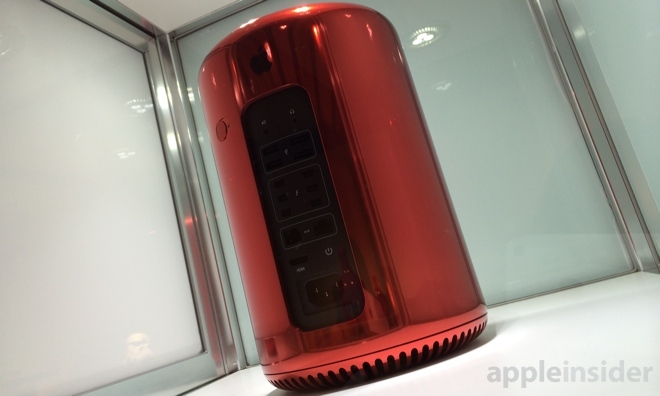 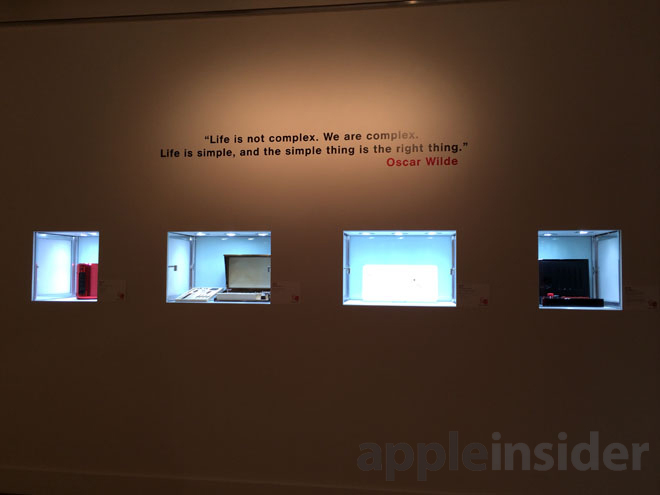 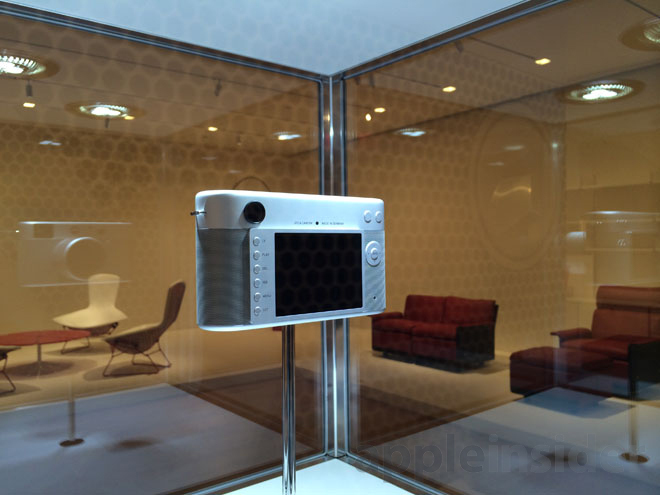 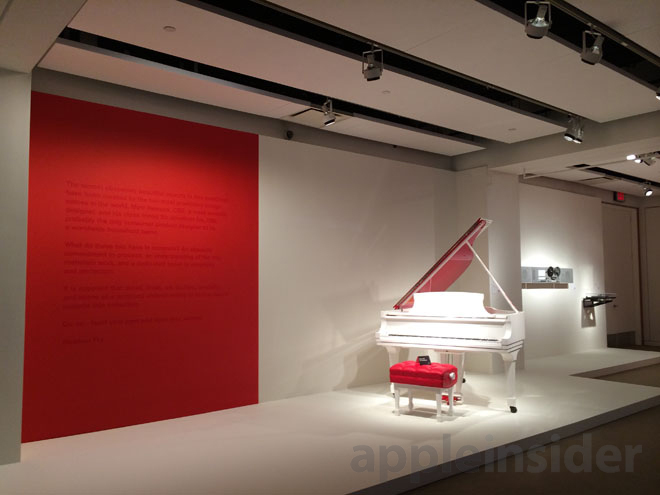 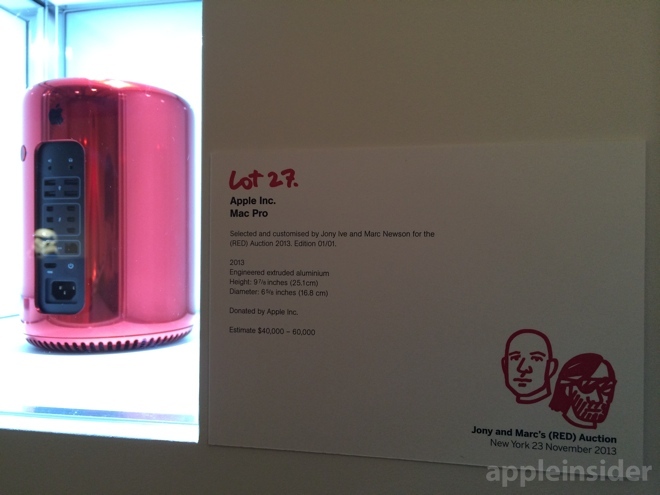 A new Product (RED) cylindrical Mac Pro, golden EarPods, a one-of-a-kind Leica Digital Rangefinder Camera, and other products designed by Apple's Jony Ive are now on display in New York City ahead of a charity auction later this week. 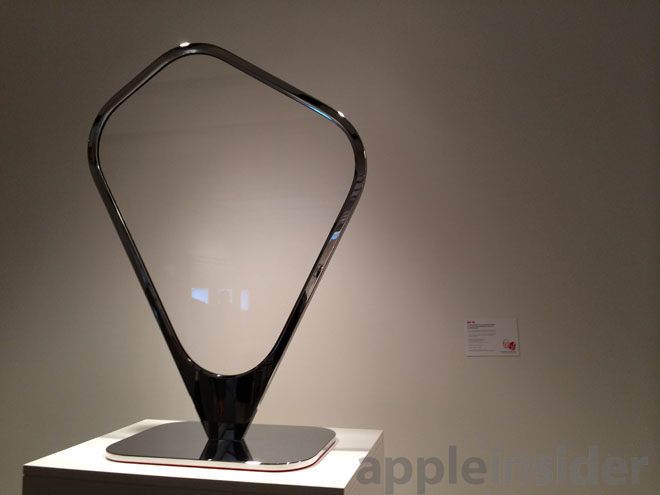 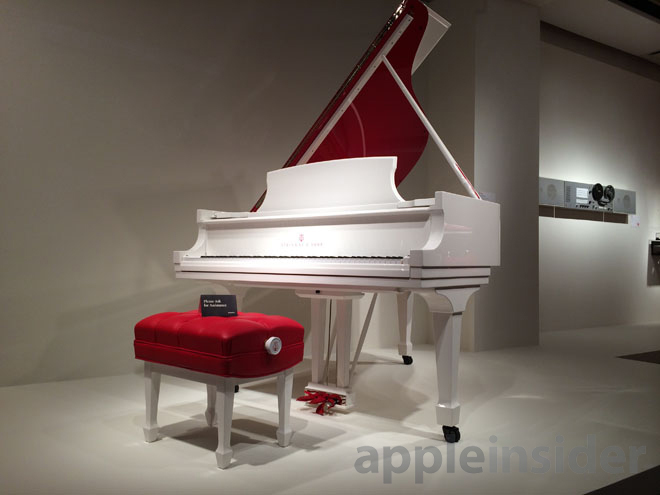 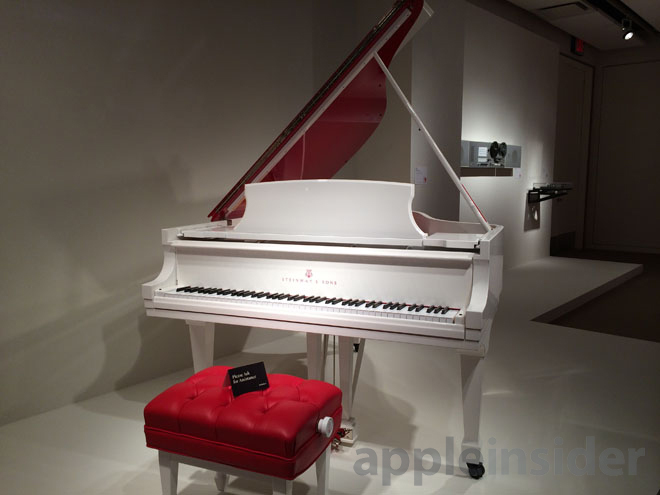 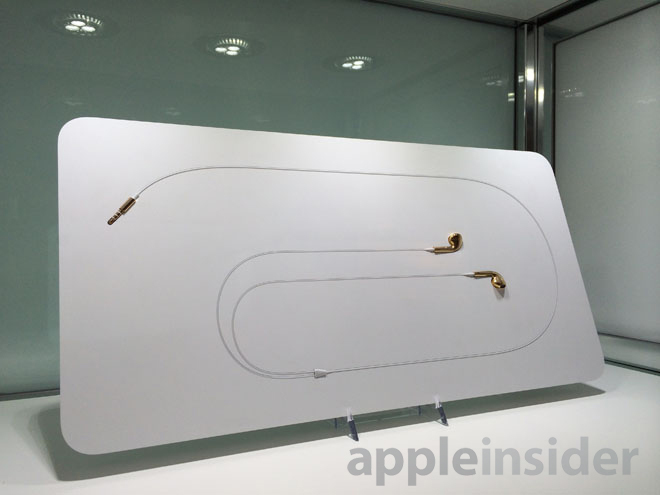 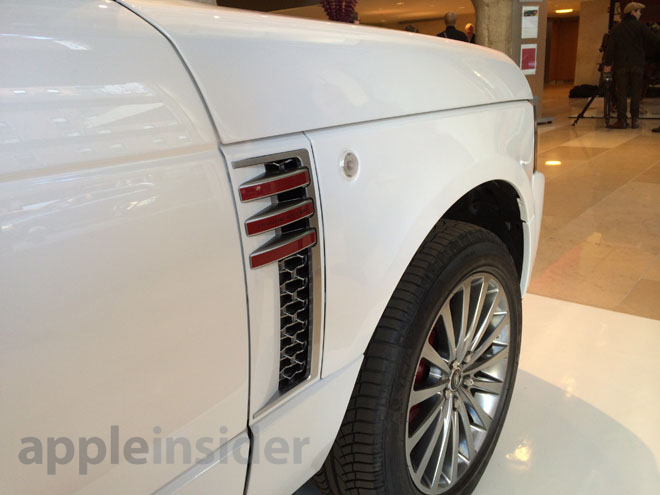 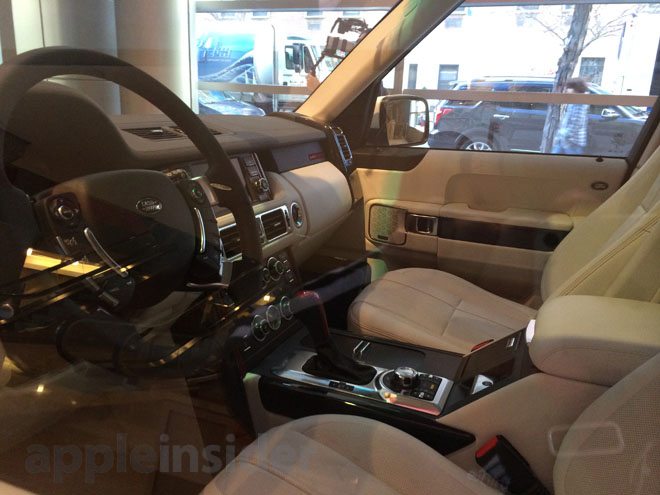 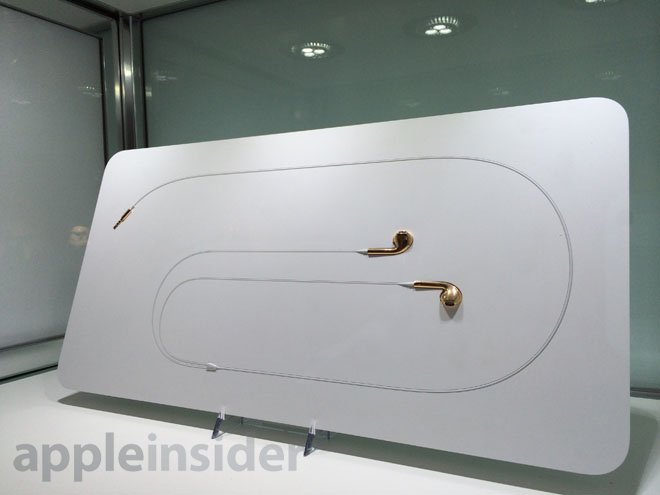 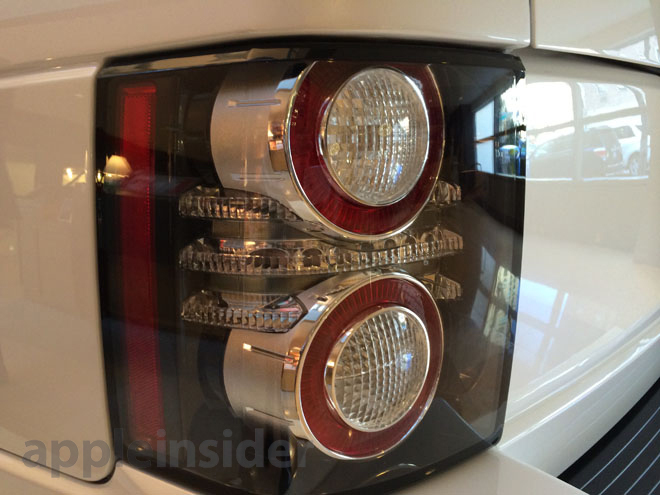 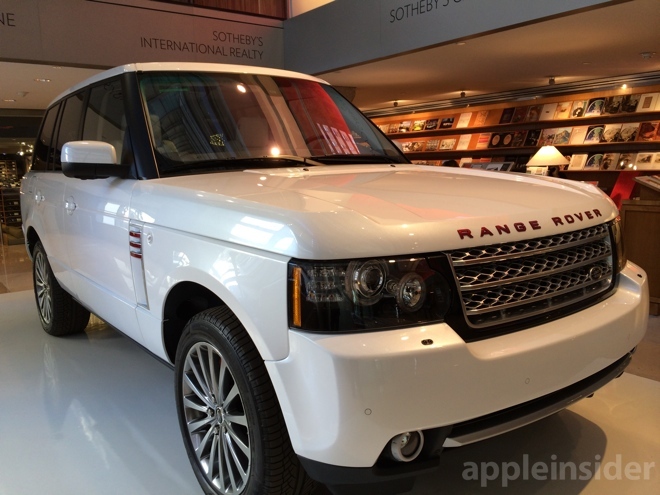 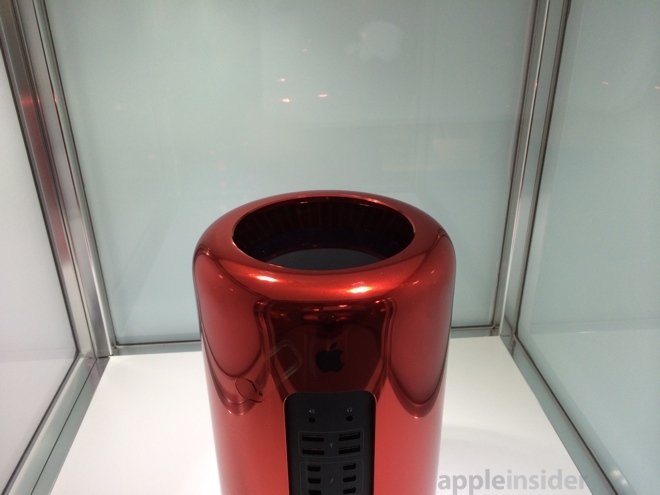 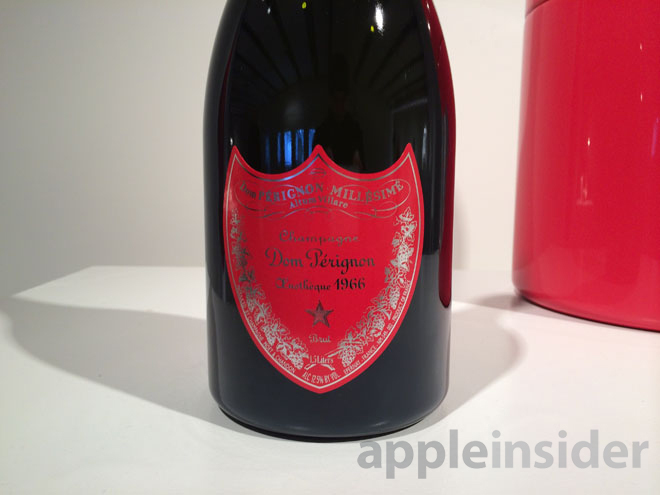 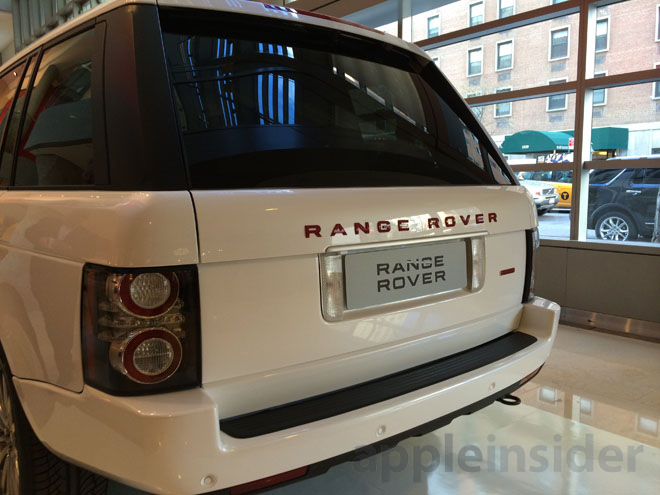 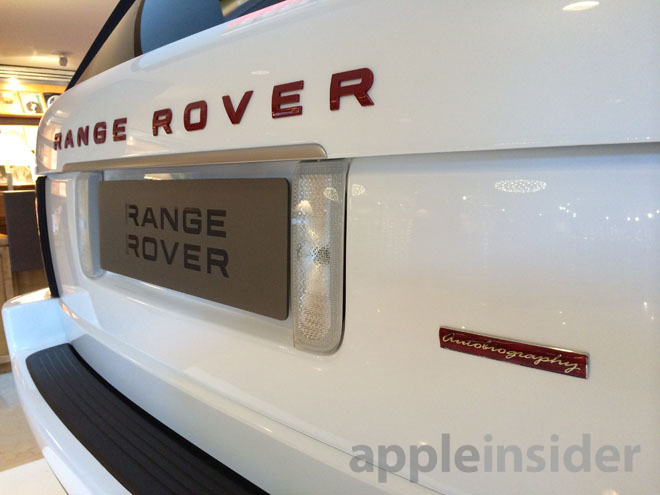 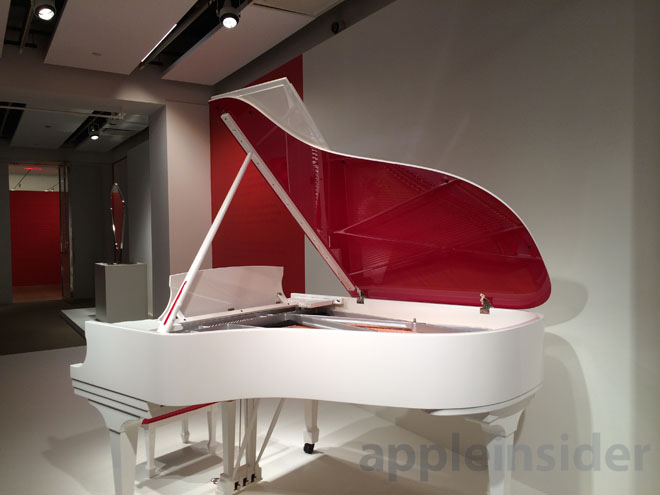 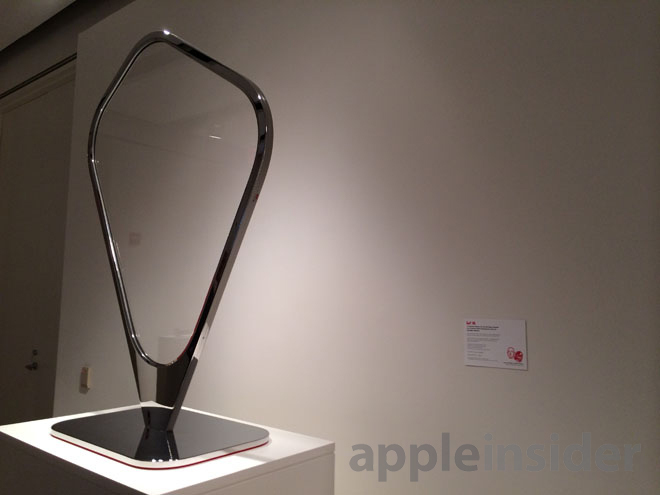 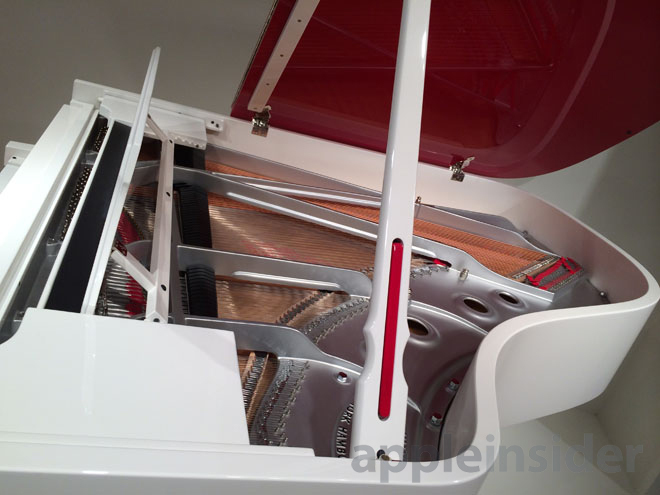 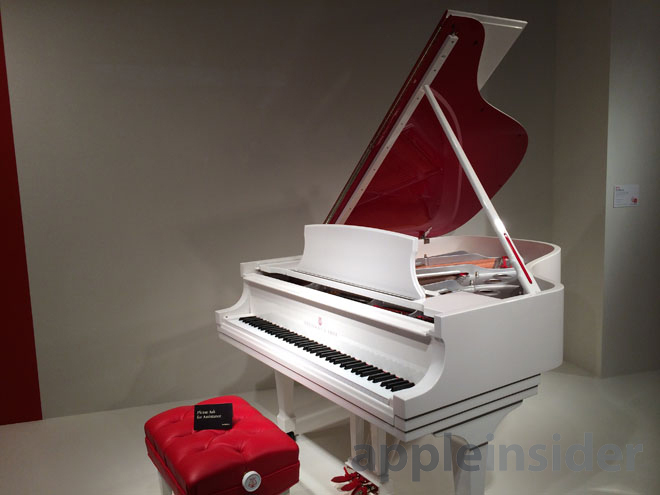 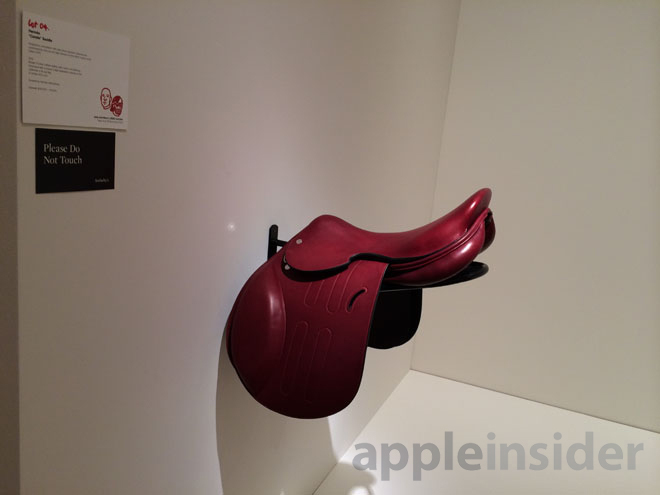 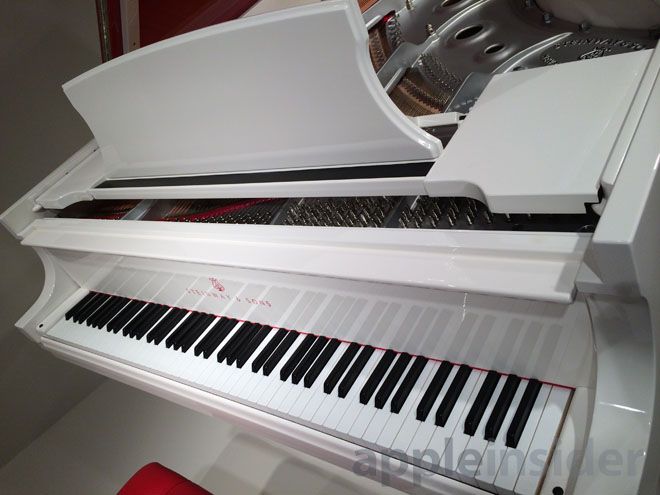 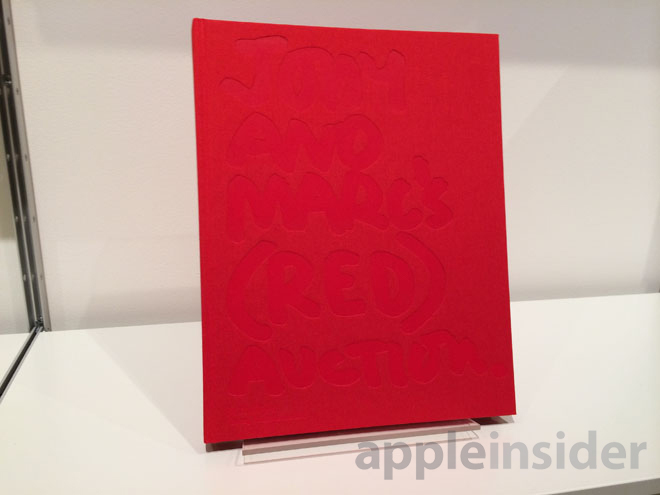 AppleInsider was on-hand Tuesday an exclusive up-close— but hands-off —look at the items that will be sold for a good cause. 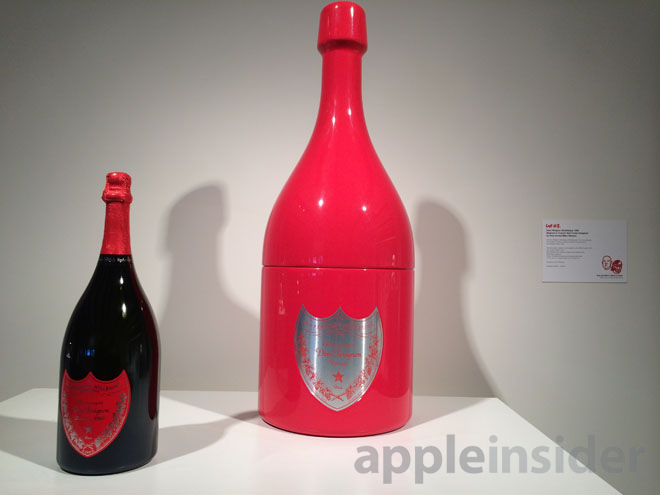 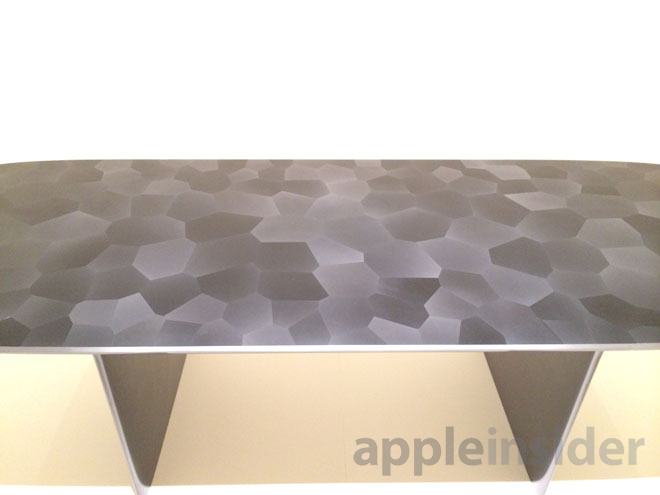 The items chosen and curated by Ive, Apple's design chief, along with influential industrial designer Marc Newson will be auctioned off this Saturday to benefit The Global Fund to fight AIDS, Tuberculosis and Malaria. 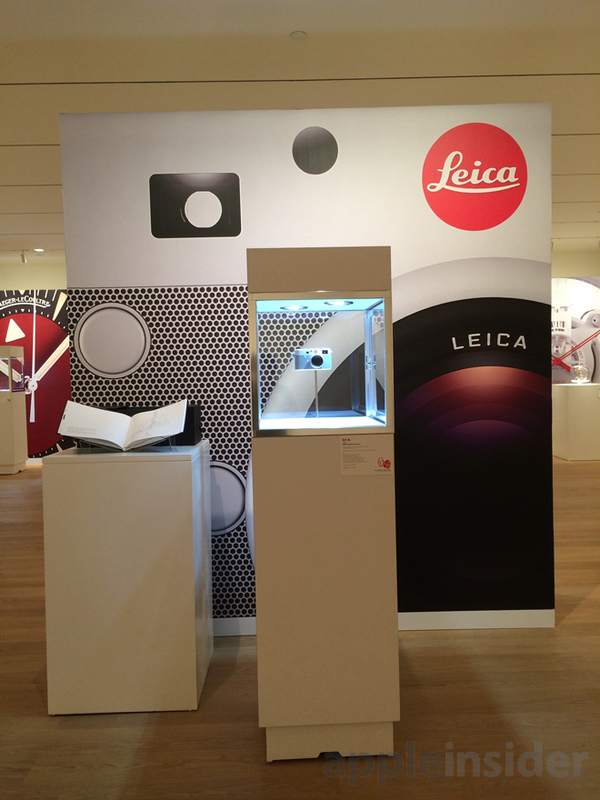 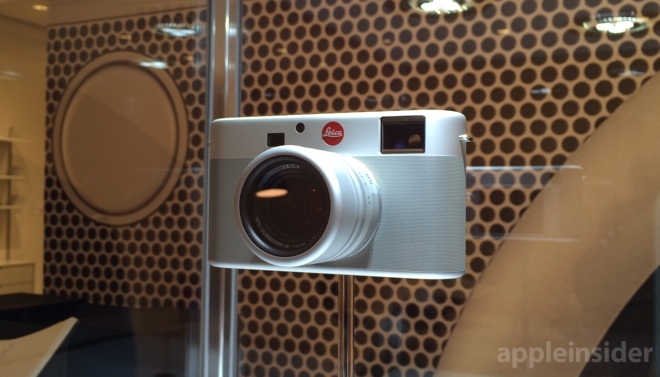 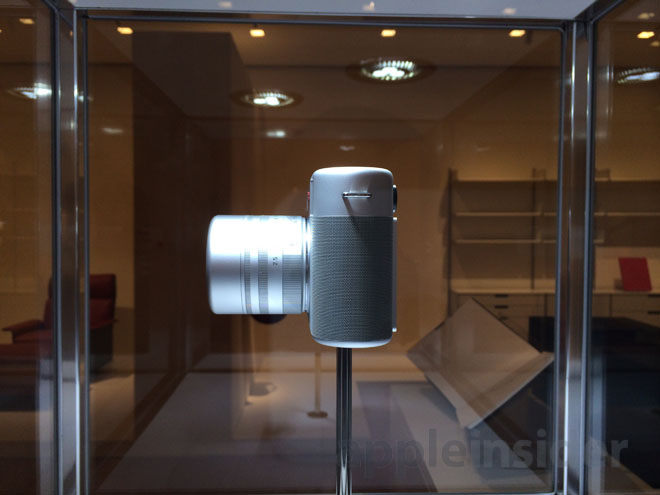 They include a a one-of-a-kind Leica camera, a red next-generation Mac Pro, and gold-plated Apple EarPods, all of which are now on exhibition at Sotheby's New York. 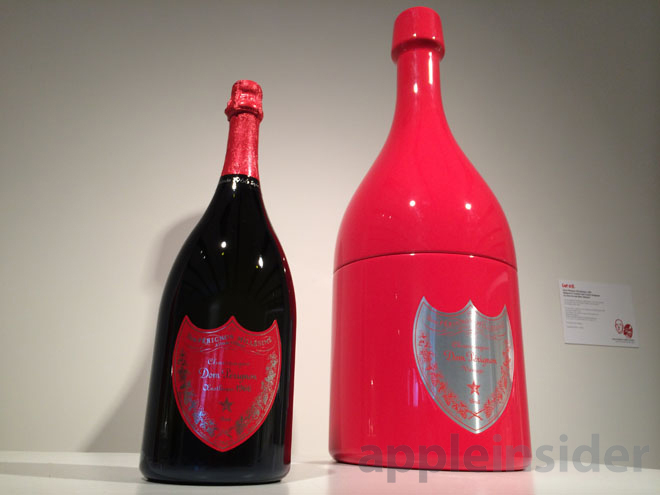 While all 44 of the auction's lots were selected by Ive and Newson, many of the items were also subjected to further customization by the design duo. 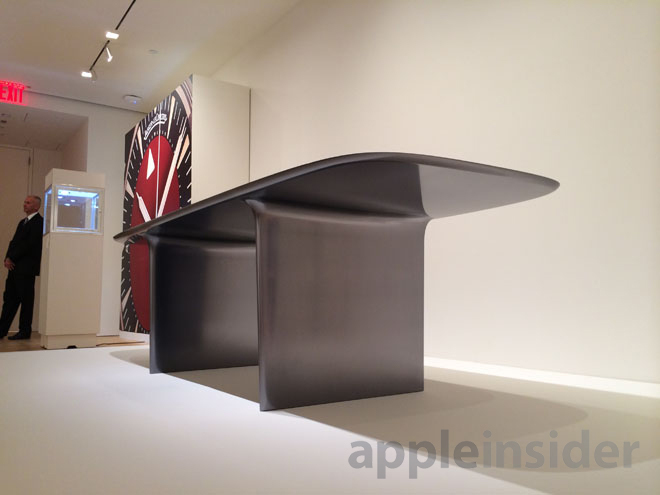 Ive's signature sleek aesthetic is in evidence with the deep red coloration of Apple's new cylindrical Mac Pro and the laser-machined aluminum chassis of a custom-designed Leica rangefinder, while Newson's more organic style influences a handmade aluminum desk and the bespoke display stand that holds a space shuttle window. 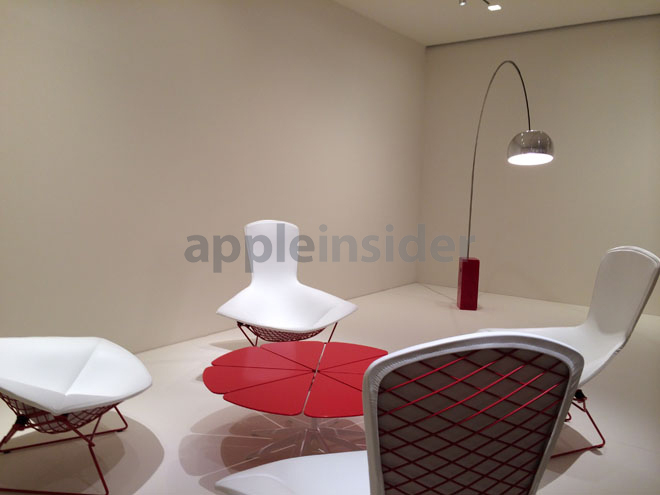 French fashion house Hermès and footwear designer Christian Louboutin contributed one-off pieces created under Ive and Newson's direction, and still more items —like Achille and Pier Giacomo Castiglioni's iconic "Snoopy" lamp and Henning Koppel's "Pregnant Duck" pitcher —received red-tinted touches prescribed by the designers. 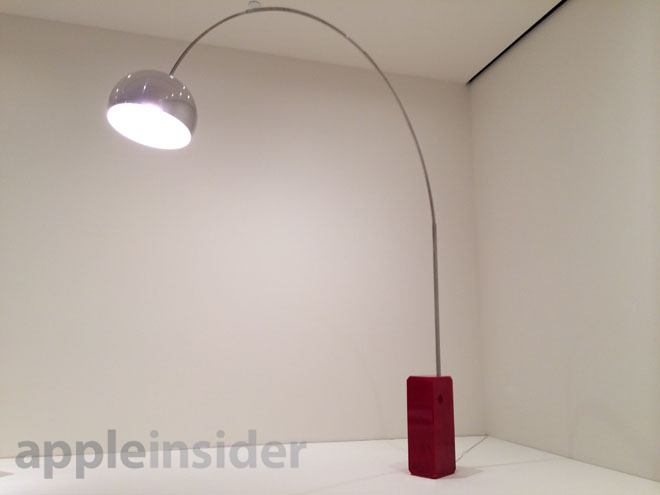 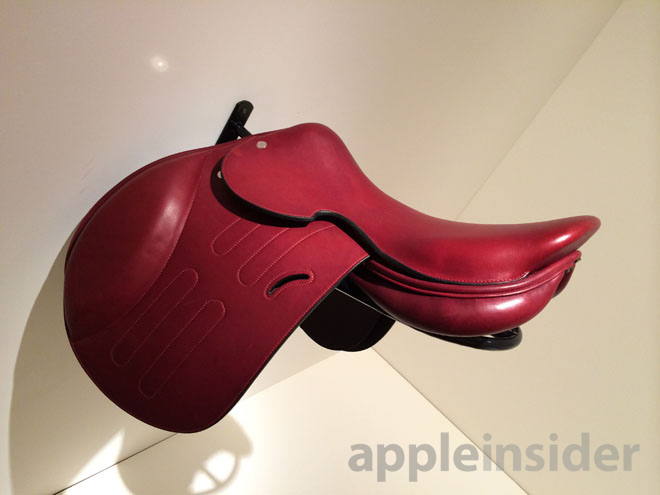 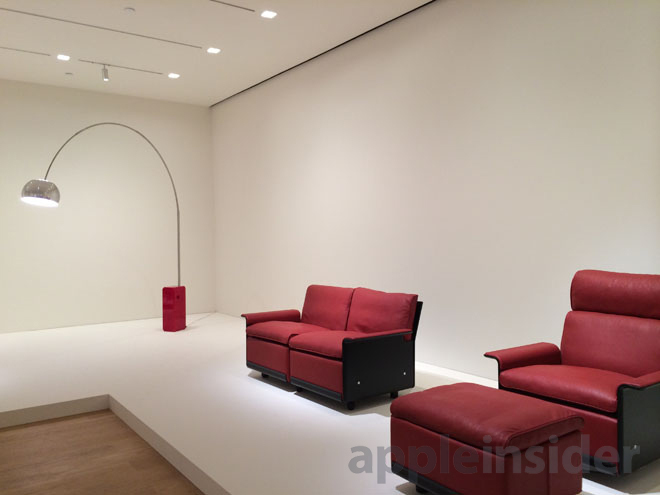 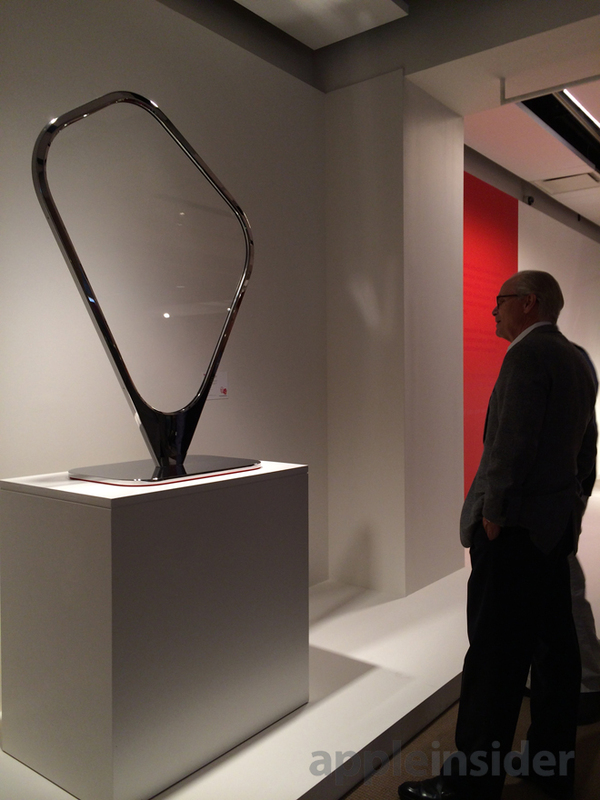 The auction, dubbed "Jony and Marc's (RED) Auction," is set to take place at 7 p.m. on Nov. 23 at Sotheby's New York. 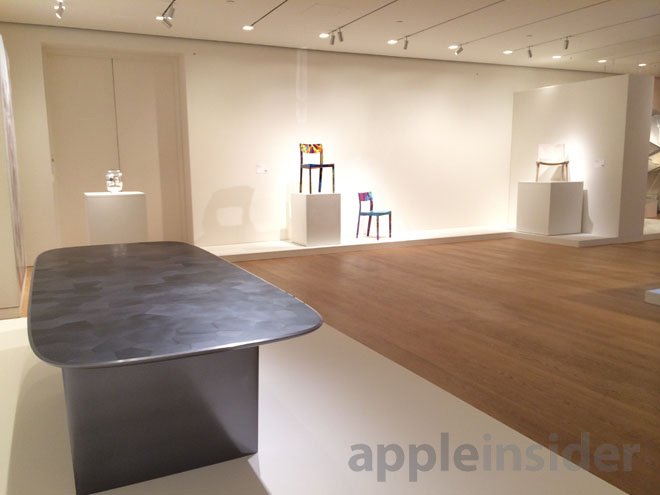 The pieces can be seen on exhibition each of the next four days from 10 a.m. until 5 p.m at the auction house's Upper East Side Manhattan location, on York Avenue near 71st street. 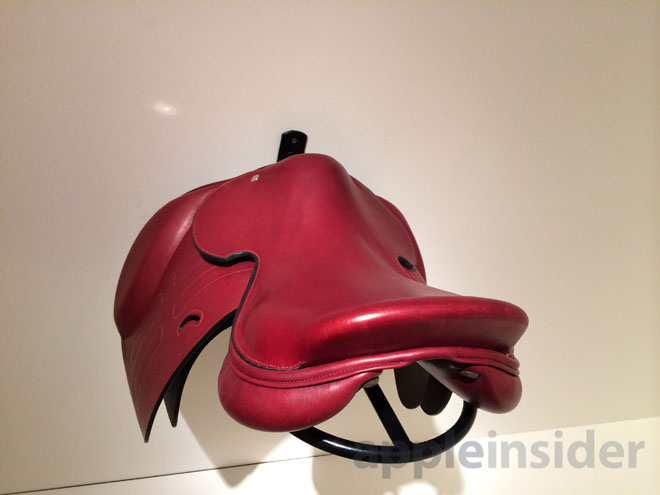 More pictures from the upcoming auction are included below.